Inverter Technology is the latest “in thing” for various appliances. 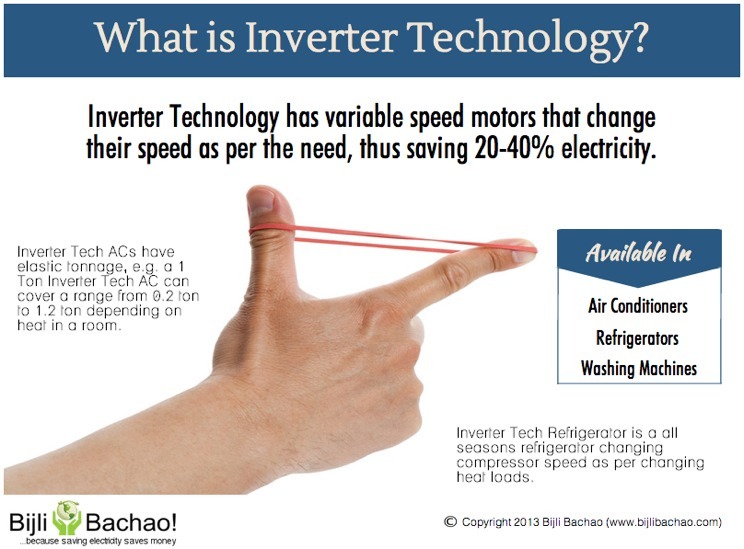 In past we have written quite a lot about it in our articles: Air Conditioners with Inverter technology can help save electricity & Refrigerators with Inverter technology can help save electricity. Here we have tried to depict it in a very “easy to understand” way. Inverter Technology involves variable frequency drives which adjust their speed as per the need and thus eliminate the inefficiencies involved with fixed speed motors there by saving 30-40% electricity.